People suffering from PTSD may find this type of approach helpful in their recovery. 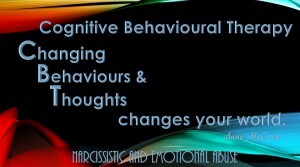 Cognitive Behavioural Therapy is about changing the way you think about your problems. It is not going to take the problems away but it may change the way in which you think about them. The therapy is based on talking in the hope of changing your mind-set and your behaviour. People often become trapped with negative thinking. The aim is to break down your thoughts into little pieces which then appear to be easier to deal with and to help you understand how your thoughts may increase stress and make symptoms worse. What you once thought was overwhelming will hopefully seem to be much more manageable. You will be able to identify the thoughts that cause you to become upset or angry and learn to suppress those thoughts and replace them with something much less distressing. Patients who have been the target of abuse often blame themselves, holding on to feelings of guilt and shame. 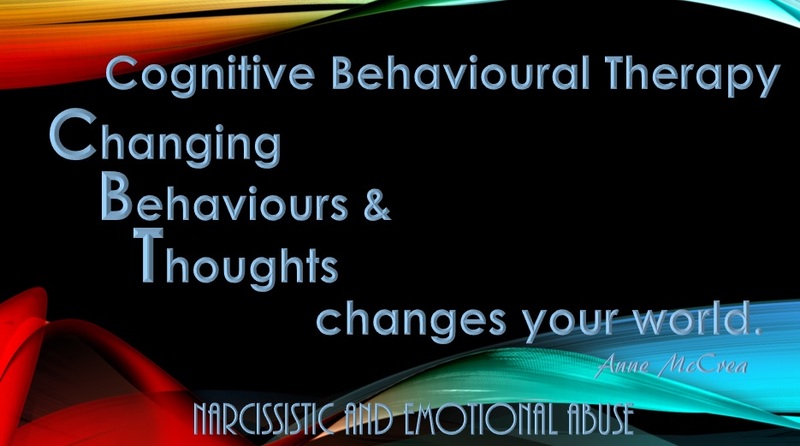 Cognitive Behavioural Therapy will help you understand that being abused was not your fault, that there was nothing you could have done to change things and that the responsibility lies solely with the abuser. You may be asked to confront your traumatic memories by thinking about your experience in detail. You will learn how to cope with any distress you may feel and to no longer be afraid of those memories. Cognitive Behavioural Therapy may produce positive results within 2 – 3 weeks.